It feel like I was only writing the 2016 list a few weeks ago….but here we are again…hopefully you might get some inspo from my recommendations! 1. Wobbel board – I have already ordered one of these from Scandiborn for Blake and so excited for it to arrive! 2. Playroom prints from Wonder & Rah – always a winner! 3.Hape Garage – I think pretty much everyone I know had one of these growing up, and this is a very stylish version! 4. If you are all ‘toyed’ out then take a look at Disko Kids to find some super fun kids sweaters! 5. 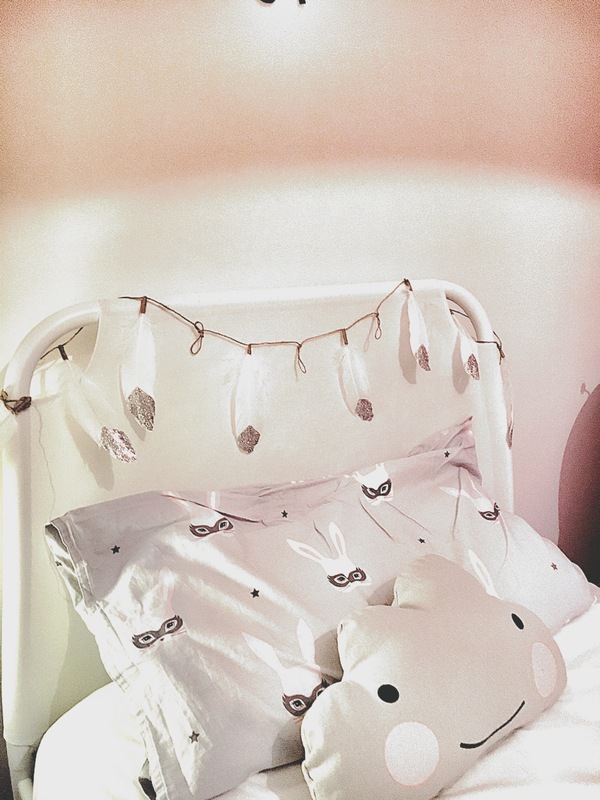 32 Ways to Dress a Bunny – sweet stocking filler or gift for your little one to give to her friends! 5. Obviously the oh so cute new mini trinket trays from us! 2. The most glamorous Holiday cards from Grace London Stationery. 4. Our handmade leather Christmas Tree ornaments for something a little different! 5. Now I would never usually choose Gordon’s given the chance but I recently tried their pink gin at StylistLondon and it was yummmmmmmmy!!! Each year from October to December, every time a specially branded pack of Pampers is purchased or someone shares a photo of their own amazing baby on Facebook, Instagram or Twitter using the hashtag #1photo1vaccine or #PampersUnicef, Pampers will donate the cost of one vaccine to help Unicef in the fight against maternal and newborn tetanus. They are doing an amazing job – Since 2006, both have worked together –alongside other partners as well – to reduce MNT from 128,000 to 34,000 a year – that’s a 73% reduction. Furthermore, over half a million newborns have been saved from MNT, with Equatorial Guinea named as the 20th country in which Pampers has helped UNICEF eliminate the disease. So can we keep this good work going to reduce MNT further, as there are currently 53 million women across 18 countries where MNT remains a threat? Why not buy Pampers nappies with the UNICEF logo between now and 31st December and post your gorgeous baby pics, using the power of social media for a good cause! I will start on 19th November! I’ve told myself this every year for the past 5 years! Gigi’s birthday is on the 18th November, so I can officially start thinking about Christmas on the 19th. I write a list, check it twice…..hmmmmm, that’s a lie, I write a list on my phone, I then don’t look at it again for another 3 weeks! This year however, at least the Christmas cards have been super easy for me to sort out. I’ve always thought of family Christmas cards a bit twee, but then I found Basic Invite, they have some fantastic modern designs that completely fulfill my monochrome desires (you will 100% not see any red or gold tinsel in this house!). They have hundreds of holiday cards online to choose from, and its not just Christmas, if like us you also celebrate Hanukkah then they’ve got you covered. You can fully customise pretty much every last detail, even down to envelope liners! They have busy people at the front of their minds, by offer an address capturing service which allows you to share a link on social media (Facebook, Twitter, Instagram etc) allowing your friends and family to upload their addresses which will then be stored on your account. These can then can be selected during the design process and envelopes arrive already printed – AMAZING! They are based in the USA, but don’t let that put you off, they ship worldwide, and have super fast delivery. The design process is incredibly easy and all gets checked by one of their talented designers to ensure you will be thrilled with the results. Go and take a look at their website, their inspiration gallery is well, inspirational! But get in quick, they are currently offering a 15% discount using code 15FF51 on customised Christmas cards for a limited time only. I am super excited about sending out the cards that we designed, and I am also pondering some new business stationary (after Christmas!). 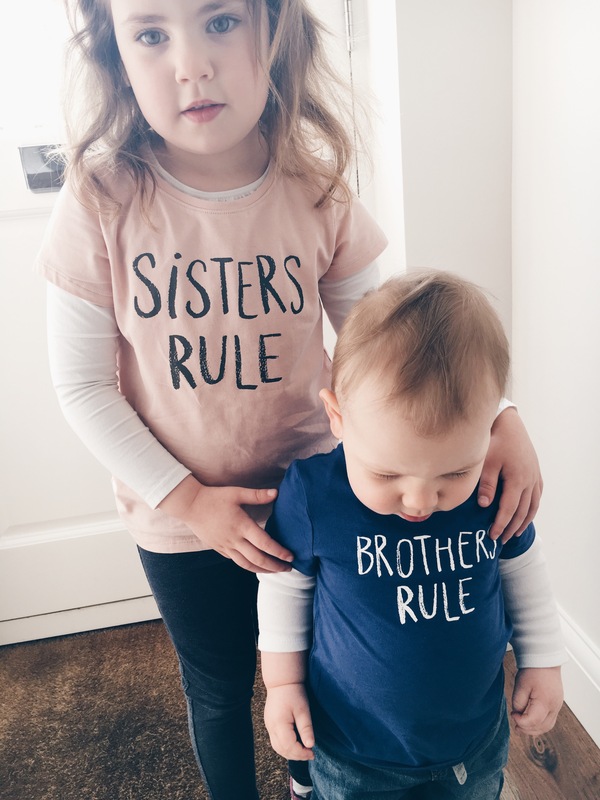 They have such an extensive range; wedding and baby shower stationary, birth announcements and even loads of free downloads to print at home. I think it’s the guilt that will remain with me for the rest of my life. I’ve been off antidepressants for over 3 months now. It’s all still a work in progress but I absolutely feel like I’ve entered the ‘post’ postnatal depression phase. I feel again able to deal with life, I don’t experience such excessive and disproportionate anger or anxiety, and I feel happy. 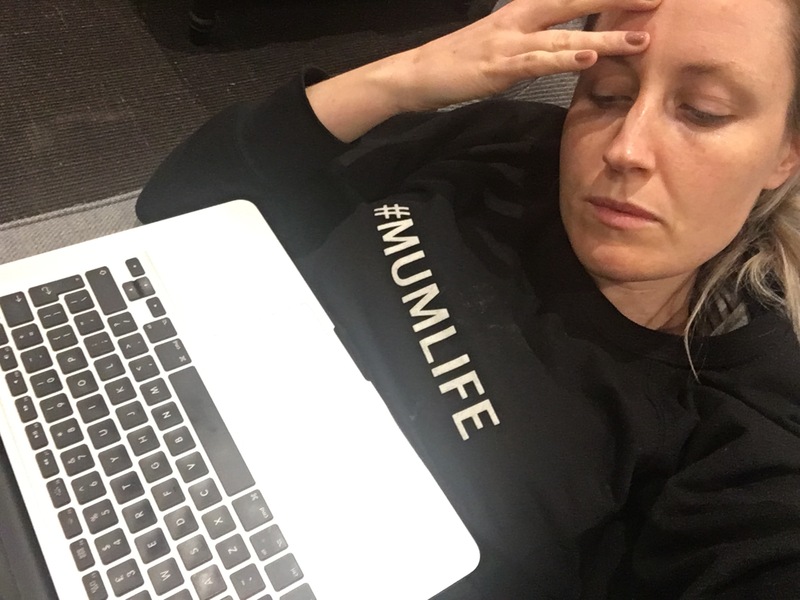 Obviously I get exhausted, stressed and anxious, I am a very normal mother to two energetic kids, and I’m also trying to work and maintain my own identity. I feel now though that I can accept being a mum, and that in itself that is probably the most important role I will ever play, but it’s taken me the best part of 5 years to get to this point. However, now I’m getting through it, doesn’t mean my journey ends there; as I try to navigate the overwhelming guilt that I have for hitting the fast forward button on my daughters babyhood. These feelings are only exaggerated by the fact that I am now able to embrace and enjoy my sons toddlerhood. On one side it’s amazing, now I get to know how it feels to be a mum who enjoys her baby, who wants to smother him in kisses, and on the other hand it’s devastating to know that she didn’t get this same responsiveness from me. She had to deal with a mother who was suffering, who shouted at her for having reflux, who was numb to all maternal feelings. That breaks my heart. The fact it breaks my heart in some way is good, it means I can feel again, love again and make it up to her. I can’t change what I did or didn’t do, but I can make up for it now. This is what tells me I’m recovering, I can look forward, rather than dwelling on what could or should have been. 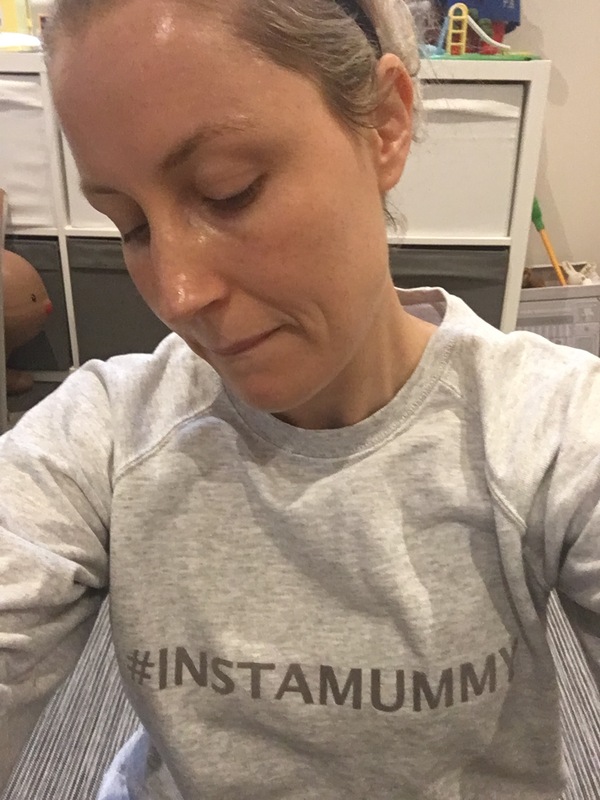 By working on giving her what she needs now rather than worrying about what happened in the past validates to me that I am in this ‘post’ postnatal depression phase and puts me a few steps closer to be free from its shackles. 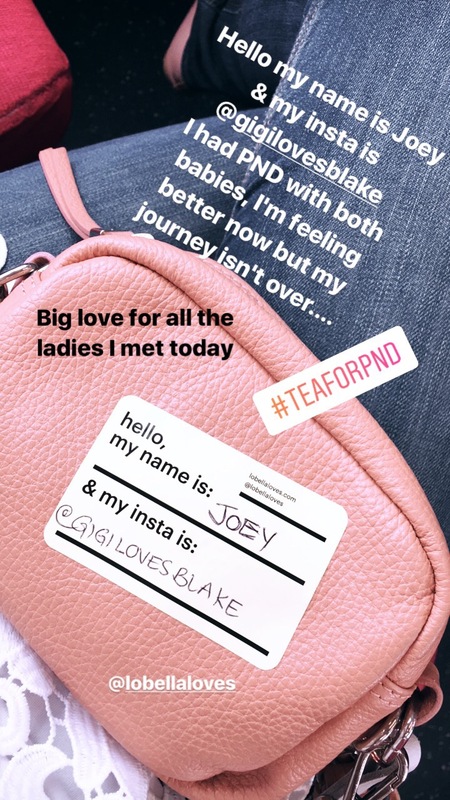 I have no doubt that the guilt, to some degree will always linger but if I’ve learnt anything through this experience it’s to be gentle on myself, not worry about things I can’t change and that there are so many other women out there going through similar situations, and therefore plenty of children of PND mums who have grown up to be happy and healthy. Mama’s around the world are knackered; they may be happy, sad, vegan, on the atikins diet, super fit, super can’t be arsed, whatever they are most of them are knackered. Maybe it’s teething, maybe it’s having to do EVERYTHING, maybe it’s working and mumming, but for literally the fist six years you are knackered. Water I’ve found as #boring as it sounds helps massively, being dehydrated only makes it worse, but I was also recently sent some supplements to try and I must say they have helped so I decided to write a little review piece on them. The are Swisse Energy B+ (an Australian supplement brand), I’ve been taking them alongside the High Strength Vitamin D3. 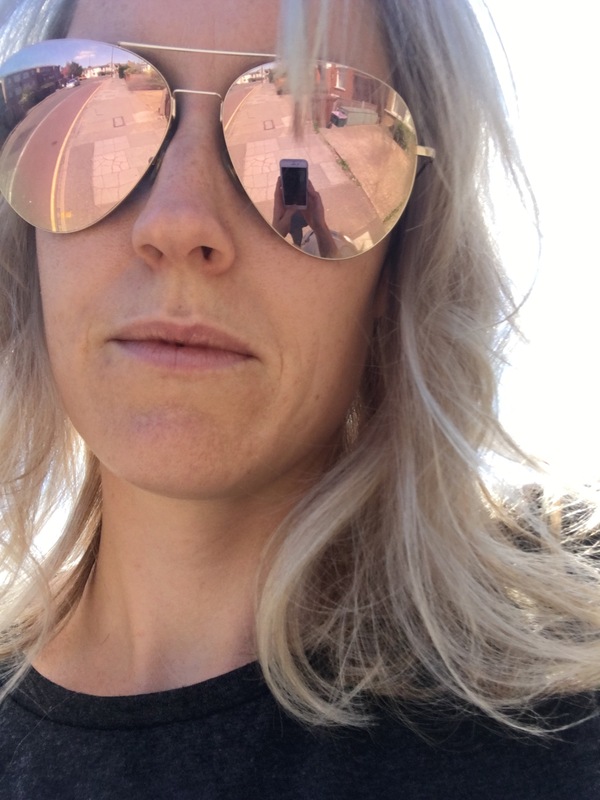 I always get ill, grumpy etc in winter so felt like a Vitamin D supplement would be a good option and as a Mama of two kids and two businesses I was up for trying anything that promised more energy! I have to say that I noticed a difference in my energy levels after about a week of taking these, and last week I stopped taking them (as a little test) and whether it was a coincidence that I had an exceptionally busy week but I noticed I was lacking some of the buzz I’d had previously. Obviously there’s no magic pill that’s going to give you everything you need but I’ve found that I’m not always getting everything I need from my food alone and these supplements seem to have made a difference! 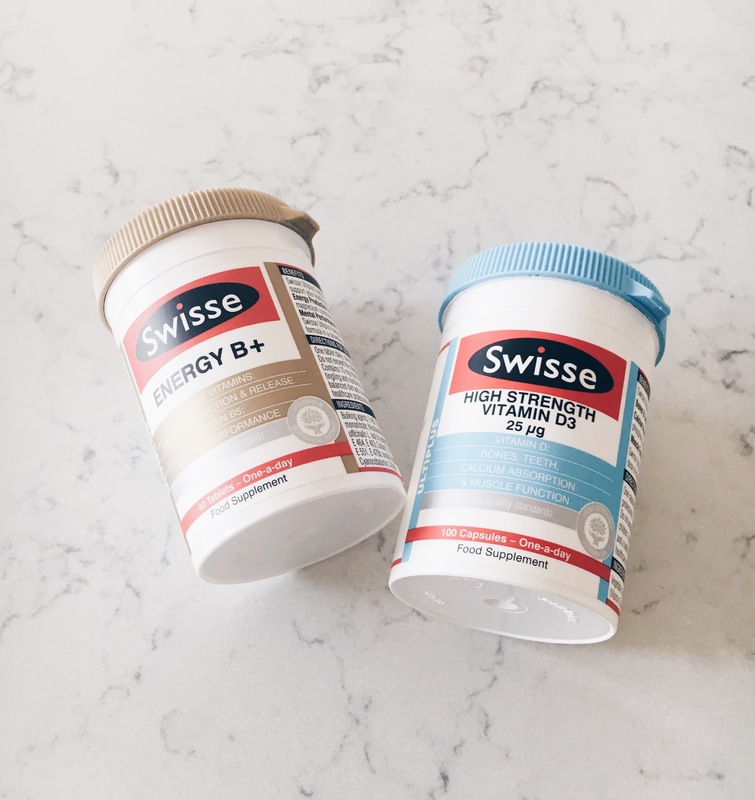 The only down side of the Energy B+ is that they are massive pills but they can’t easily be broken in half and Swisse do offer another effervescent energy supplement option. Obviously I’m not a doctor or at all qualified to give medical advice so always check with someone who knows what they are taking about before taking new supplements (I have to say that)…or like most of us, use your own common sense. If you are looking for a little boost this new year you should defo check out www.swisse.co.uk for more details!! And remember, keep going Mama your doing a fab job, and the odd shot of vodka is good for you too! We were recently sent the new Oral B Genius 9000 Electric Tooth Brush to try out. I opted for the Rose Gold (obvs!) and the hubby for the White. It is also available in Black. I can honestly say this little gadget is a complete game changer. My teeth haven’t felt so shiny and white since my last trip to the dentist (which was way too long ago). It has so many settings; soft for sensitive areas, intense for those big back molars and even a special tongue cleaning setting. Even more amazing is that you link it with your phone (like I needed an excuse to spend even more time on my phone!) and it tells you where you need to give a little extra attention too….its the world’s first toothbrush with ‘Position Detection’ technology, by combining motion sensors in the toothbrush with facial recognition software on your phone!!! It has made a huge difference in the couple of weeks I have been trialling it, my gums are much healthier, teeth whiter and overall I am feeling much more confident knowing I am brushing correctly. I’m not the only one raving about it, it has won GQs Best New Gadget 2017 and Which? Best Buy 2016. It would make an excellent Christmas present for those really difficult people who seem to have everything, or even to yourself! It is also SOOOOOOOO BEAUTIFUL and looks amazing in the bathroom, plus you get to customise the colour it lights up when you’re using it (I love this kind of thing!!!). So recently Gigi has been having some nightmares, apparently the same one over and over, a monster with a dark face chasing her around our local park. At first I just said ‘oh don’t worry monsters aren’t real’, but when you are four years old with a hugely active imagination the monsters are real! 1. No tv in the evening – with a new baby I got into the habit of saying ‘yes you can watch some tv on my bed whilst I put Blake down’. This is when the power ranger obsession began! But actually watching brightly coloured Lycra clad goodies defeat strange otherworldly villains probably isn’t the best bedtime ritual! Instead now she uses the 20mins I’m feeding and settling Blake to play quietly with her dolls house in her bedroom, a very pink, flowery and non-threatening dolls house! 2. Talking about it – but in the day time not just before bed! 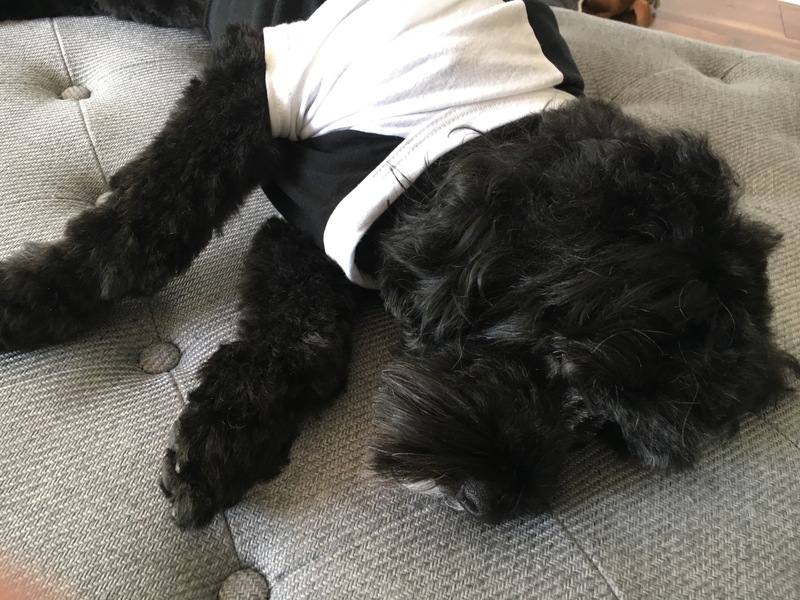 We discussed how monsters are scared of dogs (so our silly, fluffy cockapoo is now a hero in her eyes), but you could use anything as the ‘hero’, a goldfish, cat, particular toy etc? 3. 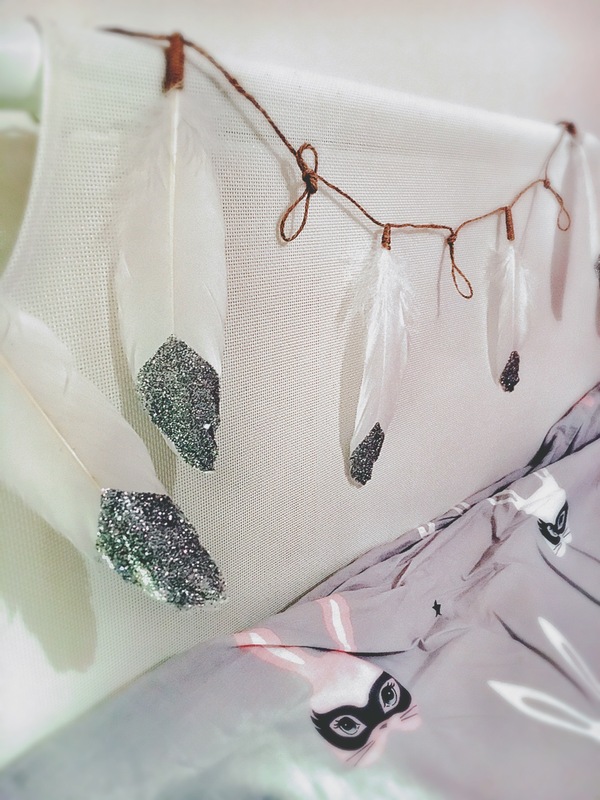 A dream catcher – I was recently sent this beautiful sparkly feather garland from a fellow Instagram Mumboss (she also makes gorgeous dream catchers) so we decorated Gigi’s bed headboard with it and I reassured her that it would catch any bad dreams she had. She absolutely loved this concept and the fact it was glittery!! 4. 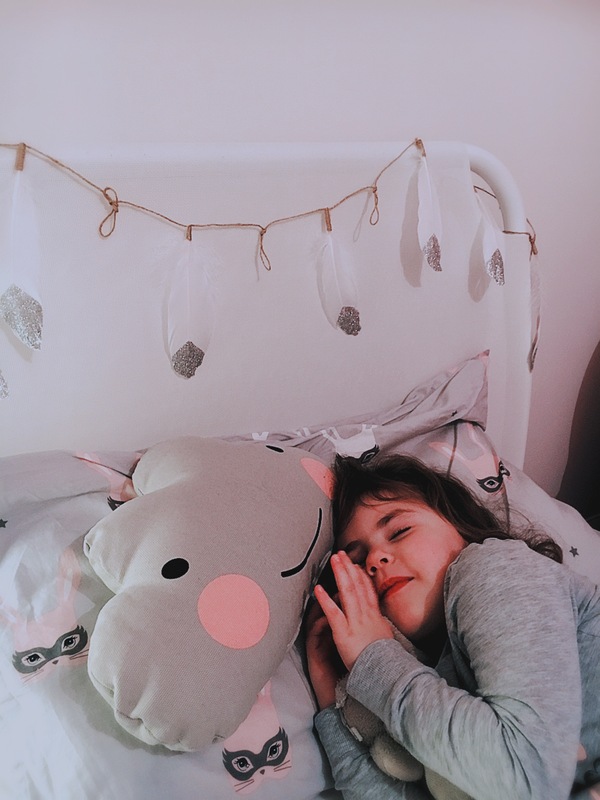 Sleep Spray – for the first couple of nights we put ‘operation park monster’ into place I used a sleep spray on her pillow which really relaxed her and helped overcome this initial bedtime anxiety of wondering if the dream would come back. I sometimes use this when they are unwell too, I find one or two nights of deep, restful sleep works wonders for anything!!! I’m not saying any of this is medically proven or with work for you but we are now back to good sleep and no 2am visitations from a scared little lady so it might be worth a go if you’re having similar struggles! So last week Blake and I were asked to test drive the new Mountain Buggy Juno baby and toddler carrier. We are huge fans of the Mountain Buggy brand, we already own a Nano (buggy that fold down to cabin baggage size), which is AMAZING for travelling and literally worth its weight in gold! So we were excited to see what the Juno was all about. Obviously we had the black one! Which is ALL black, and was perfect, as I love black! This carrier is pretty special as it’s for newborn to toddler so you can really get a good few years use out of it, unlike my old Baby Bjorn which fitted Gigi until she was about 9 months old and then just became way too heavy for my back. The joy of this carrier is that is has a really large, well padded hip band which really helps with the weight of bigger babies and toddlers, in the Juno Blake felt considerably lighter than in the Baby Bjorn. The VERY soft lining is also so nice against baby and will keep them nice and warm in winter. In true Mountain Buggy style, everything has a purpose, and everything has been thought of. All of the long straps have little elastic ties to keep them tidy and away from little fingers. There is even a pocket for your phone! It also folds down pretty small and easily fitted under the buggy or in a large handbag. My two favourite things are the pouch/pocket on the front of the carrier, perfect for cradling the baby or just keeping your hands warm! The other is the snuggly hood, which can be tucked away neatly, and would be brilliant for nap time, on cold day or if you got caught in a rain shower. There are so many ways to use the Juno, lots of different carrying positions as your baby grows and develops. We used in on the front both forward and inward facing and Blake seemed very comfortable in both positions. It was also relatively easy to get on and off on my own with a magnetised clasp. The Juno is very user-friendly and we would happily recommend it! Blake was very comfortable and happy in it. The Juno is a ‘hip-healthy’ product too meaning it won’t cause problems with the childs hip development when used in accordance with the instructions. I found it much more comfortable to wear than other carriers we’ve tried, and because he’s such a large baby comfort is a big deal for me! It’s so versatile and will last a long time, so definitely worth the investment. Note: We were not paid for this review but we were given the Juno for two weeks to trial. That was my question a couple of weeks ago, just before my birthday back in August. As I lay in the medispa getting my waxing done the therapist and I (same age) started talking about wrinkles etc. Mostly about how she didn’t have ANY! Turns out she is a big Botox fan… Needles terrify me, I mean properly terrify me. It’s a phobia, I couldn’t even watch my friend get her flu jab (although the pain of labour helped me temporarily overcome this and get an epidural!). The therapist said he doesn’t really hurt, if done properly by an experienced nurse or consultant it looks very natural (as hers does) and it’s not permenant so if you don’t like the results eventually your pre procedure face will come back. Apart from the needles one of the things that worries me is essentially it’s a toxin, and here I am trying to clean eat at the same time as thinking about getting something toxic injected into me. 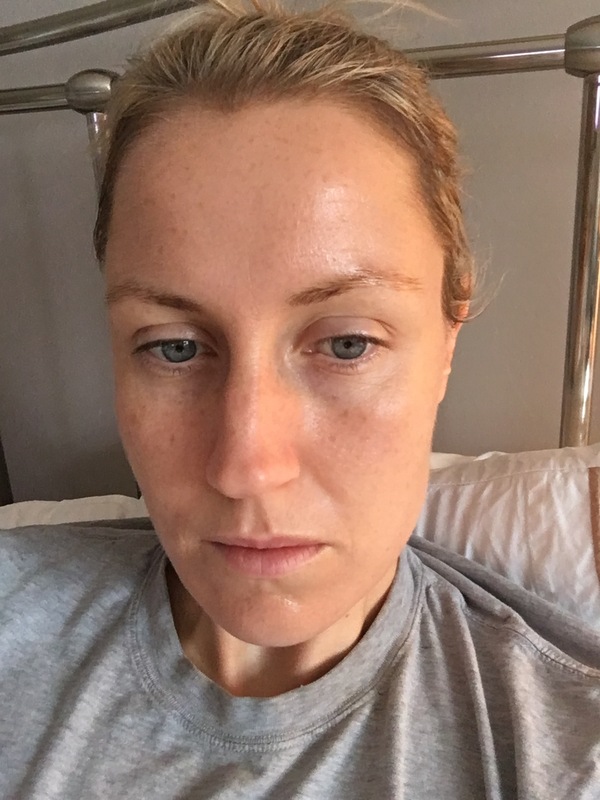 Now this post shouldn’t sound negative about Botox, probably if I had the balls I would totally get it done, but at this point in time it’s not for me, despite the hard sell of the therapist as it being preventative for future wrinkles! 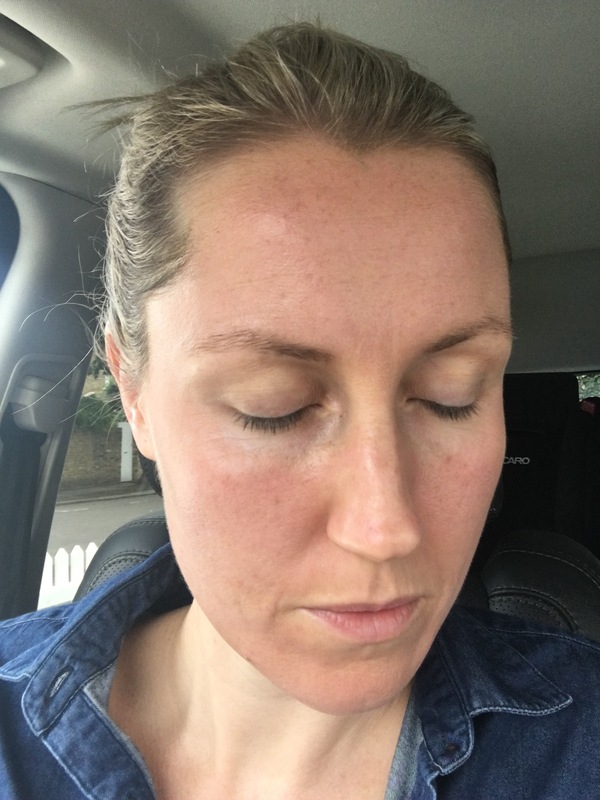 So I’ve been looking into other anti aging options, one of which was recommended by the therapist as a ‘skin pick me up’, and all round freshen up for my full post partum skin – Dr Schrammek’s Green Peel. There are three options of peel, all of which are herbal based, but of varying strengths. I went for the Energy which is the mid strength one. It is supposed to give you a deep exfoliation but without the crazy peeling face. So I went along to the treatment. I was warned it was uncomfortable. It was. Very. Not during the scrubbing bit, that wasn’t nice but it didn’t hurt, but it was afterwards my skin felt like someone was trying to push stinging nettles leaves into sore sunburnt skin. Not nice. For the next two days I was careful not to get any water on my face (the herbs need to keep working). That was easier than I thought with two young children but oh wow the pain was insane. The sunburn stinging nettle sensation lasted for two whole days! 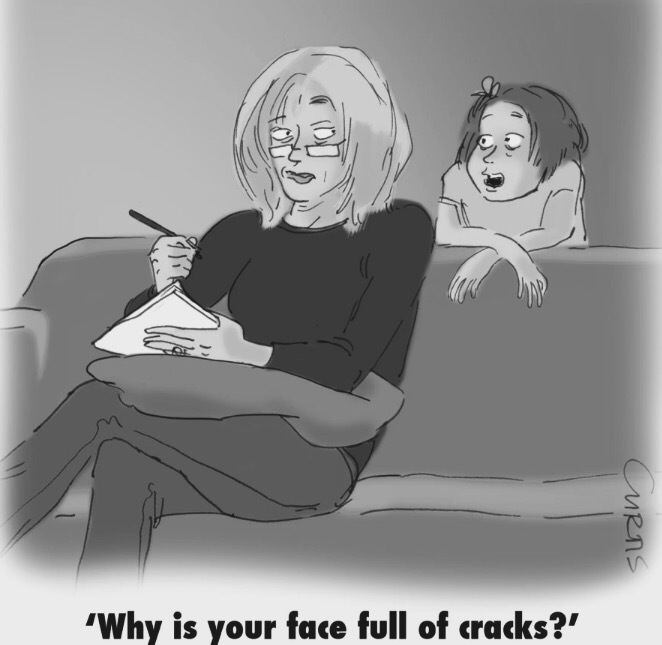 Then my skin began to peel, not a little bit as if been told but my entire face started to come off in little sheets. It wasn’t pretty. 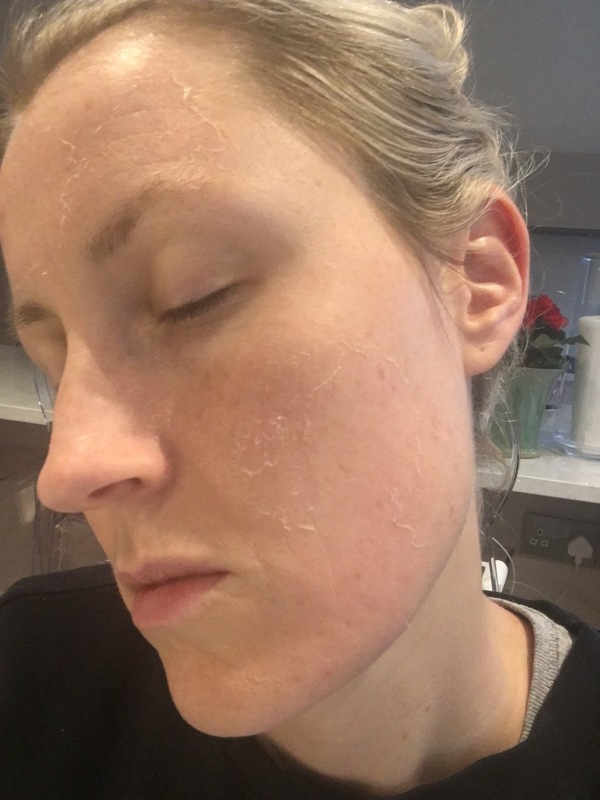 2 DAYS AFTER – the big peel! I was booked in for a course of three but there’s no way I’m going back for more. Waxing is enough torture! The results a good, not great but good. I’ve had some comments of how fresh and bright my face looks and on the whole I look like I’ve just had a bit more sleep! But the wrinkles are still there and I can’t deal with that pain to still have wrinkles. So I’ve decided to keep eating well, drink LOTS of water, and treat myself to some good quality face creams and get regular facials. I know it won’t reverse the effects of the past 33 years but right now it’s the best I can do and it certainly won’t do any harm! Note: I wasn’t paid or given the treatment for free, this is all just my honest experience!